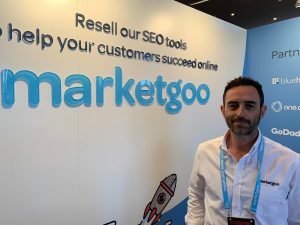 Apr 12, 2019 - At this year's CloudFest event, HostingJournalist met again with search engine optimization (SEO) tools provider MarketGoo (marketgoo.com) to learn more about their achievements in the past year. Turns out that Marketgoo's booth at Cloudfest 2019 had seen a significant upgrade compared to last year. We had a talk with Marketgoo CEO and co-founder Wences Garcia about their recent deal closed with Endurance Group and more.